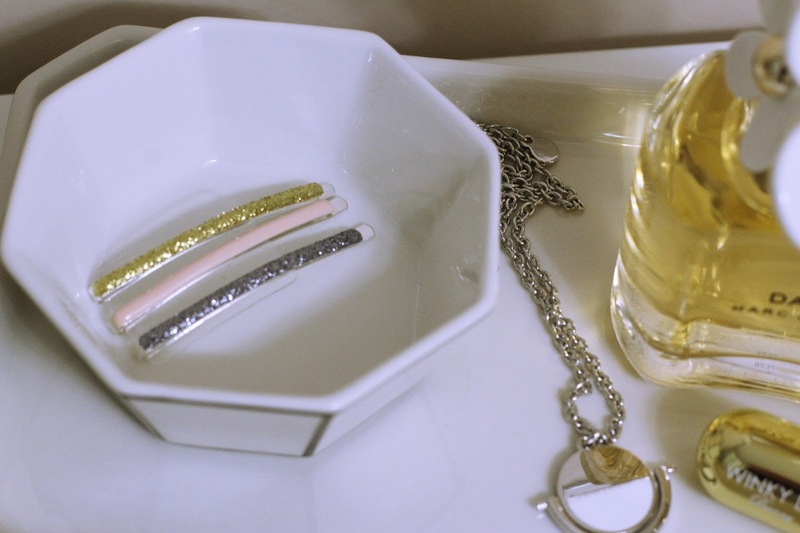 I loved everything that came in the December #MustHaveBox that POPSUGAR sent me! I'm sharing details on all the items below. If you would like to sign up for your very own box, simply click this link and use code SHOP5 to get $5 off your first box! This chocolate chip cookie mix by Sisters' Gourmet was so good! I added mini holiday baking M&M's to mine to make them festive. These cookies were so moist and some of the best cookies I have ever had. 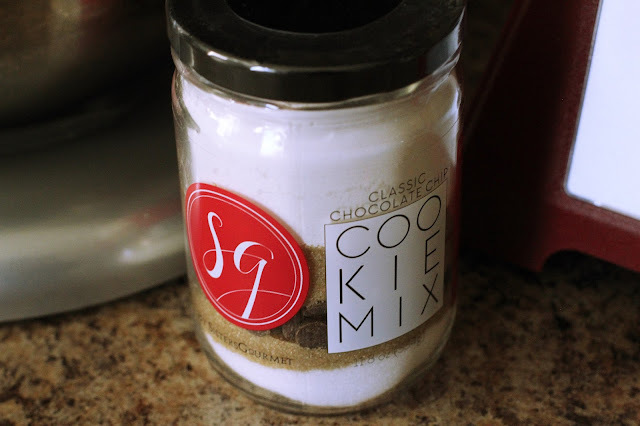 This jar made approximately 20 cookies and there are tons of other varieties on their website! I want to try the coconut salted caramel blondie mix! 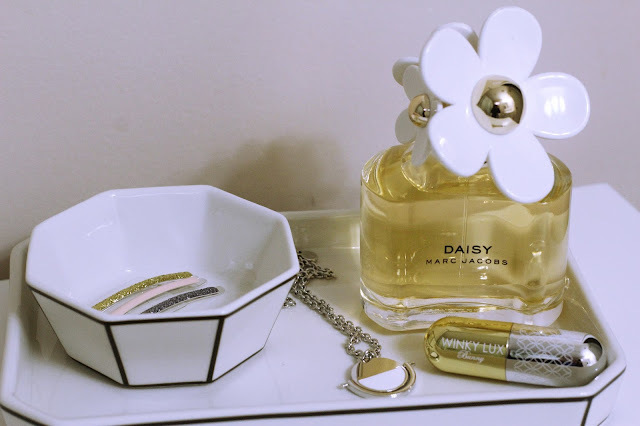 This catchall tray and ring dish from Odeme are the perfect addition to my vanity! I love the simplistic design and these both came individually packaged in a pink box with gold foil embossed text. How cute is this Winkly Lux lipstick in the color Bunny?! 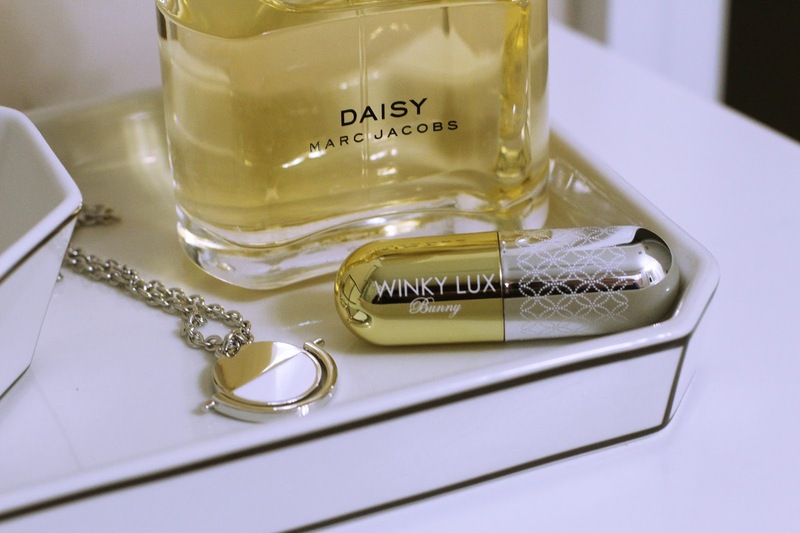 I love the gold and silver colors of the actual container! It's a beautiful color combination of red and pink. These lipstick products are cruelty free, paraben free, gluten free and are made in the USA! I also, received this gorgeous snowflake pendant from Baublebar! I don't usually wear too much silver jewelry but I can see myself wearing this on more than one occasion! It would go great with a sweater or even just to dress up a simple tee! These super cute bobby pins from Mane Message are the perfect addition to dress up a hair style! These come in a 3 pack. I love the gold, silver and pink glittery colors of this set! 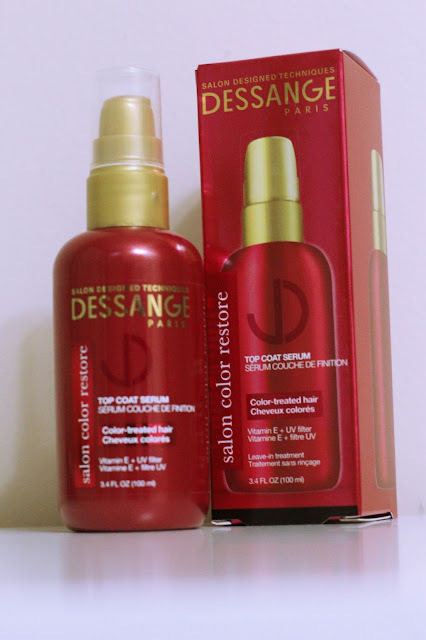 In addition to all the other goodies, I also received this Dessange Paris Top Coat Serum. It's perfect for color-treated hair. It's formula includes Vitamin E and a UV filter to help protect your hair and give shine to your hair. This box has a value of about $138 and when you sign up via this link for the first time, you can use the code SHOP5 to get your very own POPSUGAR #MustHaveBox for $34.95! This is a great value and I'm sure just like all the other boxes, the January box will not disappoint either! Thanks so much for stopping by! I hope y'all have a safe and blessed Happy New Year!